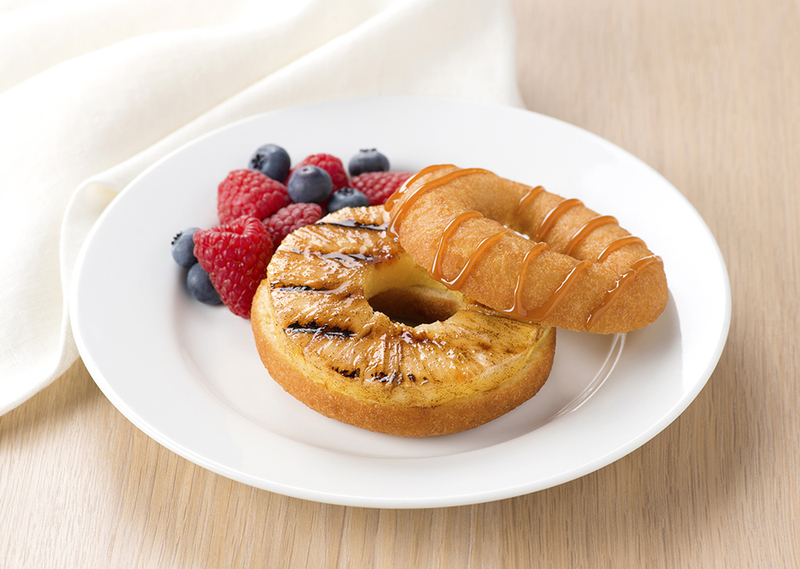 Grilling intensifies the tropical flavors of pineapple and makes a decadent filling for an easy donut. Drizzling with dulce de leche sauce takes this quick dessert to a whole new level! Preheat your George Foreman Grill for 5 minutes with the lid closed. Meanwhile, brush each pineapple ring with butter and sprinkle with cinnamon. Place on grill and cook for 2 to 3 minutes per side or until golden. Sandwich a pineapple ring between donut halves to make a sandwich. Place each on a plate and drizzle with dulce de leche. Tip: Serve with blueberries and raspberries, if desired.